Neymar, one of the most famous soccer players on the globe, currently plays for Paris Saint-Germain. However, that may not be the case for long. Sport is reporting Neymar may soon transfer to Real Madrid ahead of June's World Cup. Additionally, AS is reporting that Nike, Neymar's apparel sponsor, is playing a role in the move. 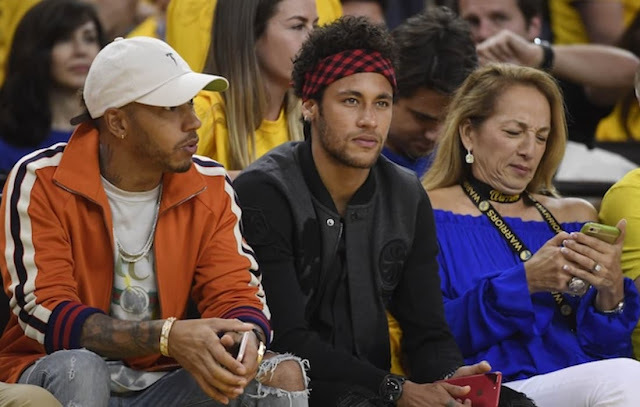 Neymar's father, who serves as his agent, has reportedly already met with Real Madrid. The acquisition of the star forward could come at a cost of €400 million, or nearly $500 million. Neymar reportedly does not want to play in the worldwide tournament with his future uncertain—he'd rather enter the World Cup with a clear mind. Nike could reportedly play a "highly instrumental" role in financing part of the transfer. Real Madrid and Adidas are currently partners; there are two years left on that deal. However, many have speculated Nike is attempting to take over that partnership. One of Nike’s other primary soccer endorsers, Cristiano Ronaldo, plays for Real Madrid, so needless to say, getting the two on the same team—and having them sport Nike-sponsored uniforms—would be a huge win for the Swoosh. Neymar, 26, signed with the French club for €198 million in 2017. He's under contract through 2022. Neymar is the fourth-highest goal-scorer in Brazilian national team history. The skilled, 5-foot-9 forward joined the squad at age 18. He is considered one of the most marketable athletes on the planet.